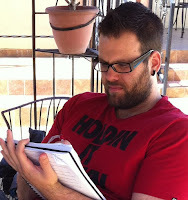 Today I'm featuring a special guest--author Andy Peloquin. 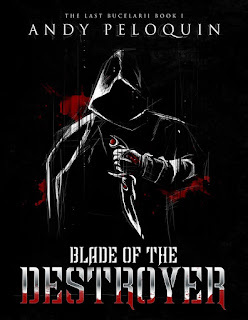 Andy is participating in a blog tour to promote his newest release, BLADE OF THE DESTROYER, book 1 in The Last Bucelarii series. I think the writing bug hit me around the age of 15. I had a lot of free time at that age, and no real friends to speak of. I gravitated more to solo activities. I was always pretty handy with the computer. When I saw that many of my online "friends" were writing, I thought I'd give it a try. I found it wasn't bad at it--even won an online competition with a short piece of prose. I wrote off and on until the age of 20, when life conspired to fill my time with a host of other activities. I didn't start writing fiction again until the age of 25, but once I picked up that creative pen, I was totally hooked. Hardly a day has gone by since that I haven't written something! Monday through Thursday, I can usually only fit in about two hours of writing--one in the morning, and one in the afternoon. Friday, I can fit a couple of hours in the morning, and I've reserved Friday afternoon as sacred writing time. I usually get between 2 and 3 hours Friday PM before my family wants to go out. Saturday morning is also reserved for writing. My wife works from 6 to 10 AM, so I'll usually take advantage of that time to sit down and get some writing in--even if it means getting up at 6 AM on a Saturday! It really depends on how much time I can dedicate to it. I will usually take about 6 weeks per draft, with a break of 6 weeks between each draft. So right now, I'm 75% of the way done with Book 2, working through Book 3, and writing a second unrelated series. I've got it down to a fine art. Usually from the moment I start writing the first word of the rough draft until it's ready for submission to the editor/publisher will be about six months. This book is part of a series, and one that I'm very excited to write. The first book starts out in the city of Voramis, and lots of fascinating, intriguing, and heart-wrenching things happen. The Hunter finds out more about the past he has forgotten, discovers the truth of his demonic heritage, and realizes that he's more than just a remorseless killing machine. Over the next 4 or 5 books (still not sure how many it will end up being), he continues to evolve as a person while finding more about his past, his "destiny" (which he is totally averse to fulfilling), and the truth of demons on the world of Einan. There's plenty of story to keep you interested, but I'm trying to make it a character-driven piece. It's all about the Hunter and his personal journey. 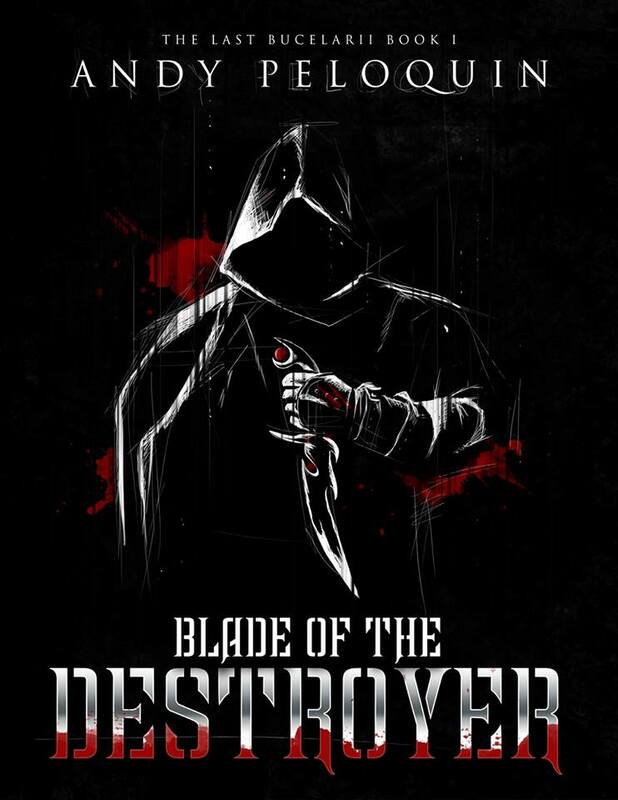 The main character in your book is covered in scars--one for each person he has killed using his accursed dagger. Do you have any scars? What are they from? I don't have quite as many scars as the Hunter does, but I have my fair share! My hands are covered in scars from various car accidents, stupid childish things (playing with knives), work scars, etc. My right elbow had a shard of glass embedded in it for about two months, so the scar is still visible. I put my right knee through a pane of glass. Those are probably the most visible scars. I LOVE series--probably more than standalone books. I feel like a series is the best way to really get to know and fall in love with a character. I have read many excellent standalone novels, but for me and my writing abilities, I like what a series enables me to do with the character and his journey. I proofread and edit my own work multiple times, but I also have a professional editor to do it as well. Thanks to my publisher--J Ellington Ashton Press--I get at least two wonderful editors to slice and dice the book and polish the writing. ABSOLUTELY! In fact, the cover is almost more important than the book itself, especially in the world of online marketing/sales. A good cover can sell a book that may be a bit iffy. Of course, I'm not relying on my AMAZING cover to sell the book. I'm definitely making sure that it's as good as I can make it--on par with the works published by the bigger houses and more famous authors. How are you publishing this book and why (e.g. Indie, traditional or both)? I indie published my first book, but with this book (and the series), I wanted to go with a publishing house. I wanted multiple eyes to help me polish the final product, because I know that it has the potential to be something truly great. I LOVE both! Good reviews always make me feel warm and fuzzy inside, but bad reviews help me to improve my writing. I got a few bad reviews on my first novel, and I used them to improve my writing style, plot, and overall writing ability for this book. It's thanks to those bad reviews that this new novel is as good as it is! I absolutely read the reviews. There will always be the occasional "troll" who leaves a crappy review just for the heck of it. But for the most part, the reviews offer at least a glimpse into what made the book less than appealing to that person. If I can make the next book better, I will turn that person into a reader/fan. I love giving away books! I'm actually giving away my first novel--In the Days: A Tale of the Forgotten Continent--on my website (http://andypeloquin.com/books) right now. I feel like my book is something that people will enjoy, so I want to get it into as many people's hands as possible. It may not earn me a ton of money, but it's a way to build my platform as an author and get more fans. I'm a total comic book nerd! I love to read just about anything Marvel puts out, and I keep up with all of the latest digital comics. I'm a TV buff, but I like to hit the gym, cook for my family, lounge around with a good book, or relax on the beach. I've got relaxing down to a pretty fine art. Here's an oddball for you: If you were an animal in a zoo, what would you be? Ask anyone who knows me, and they'd probably say "a bear"--and I'd agree. I'm a large, hairy, friendly guy, with a pretty mild temperament but hella fierce when I get pissed off. Definitely a bear! Thank you, Andy, for sharing a piece of yourself here on The Suspense is Killing Me. I can see how a guy who plays with knives as a child ended up writing about a protagonist with a dagger. Sounds like a great book. Best of luck to you.